The Farm at Eagles Ridge | Voted Top Farm Wedding Venue by Vogue! Voted Top Farm Wedding Venue by Vogue! 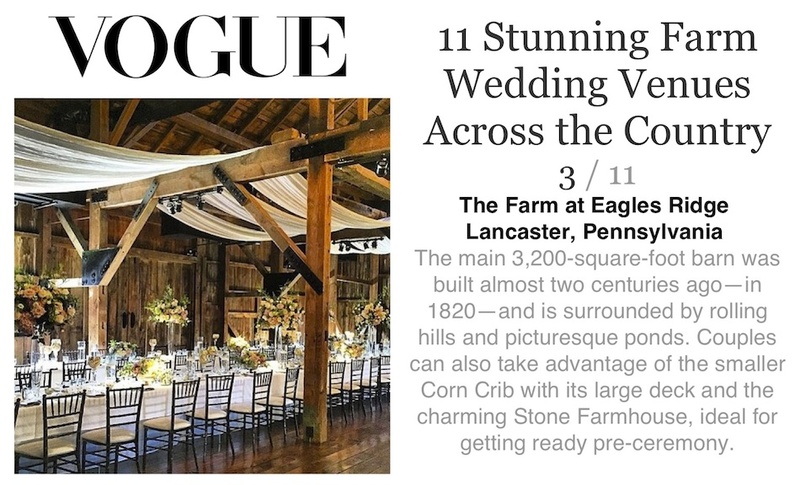 What an honor to have been selected by Vogue as one of the most stunning farm wedding venues in the United States! You can read the full article on vogue.com.